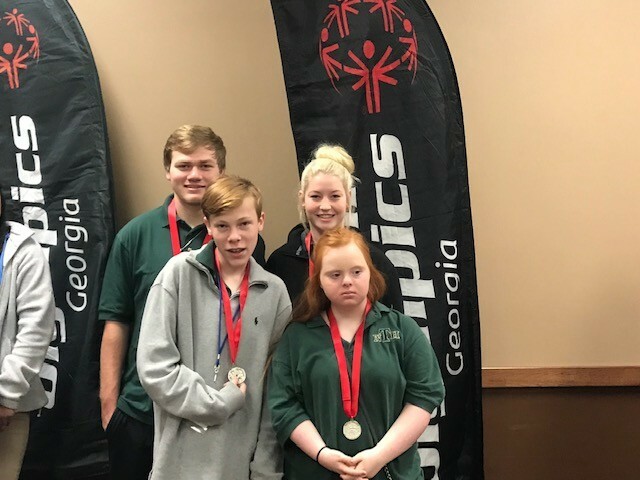 On the weekend of January 11-12, the Hall County Special Olympics delegation took Marietta by storm at the Georgia State Indoor Winter Games and Southeast Powerlifting Competition. 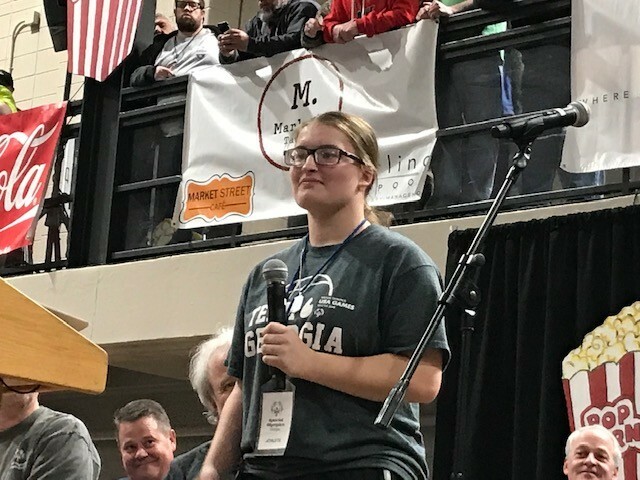 The excitement began on Friday evening at the opening ceremonies, as Morgan McNeal, a Chestatee High Senior and member of the USA National Gold Medal Basketball Team, received the Georgia Female Athlete of the Year Award. 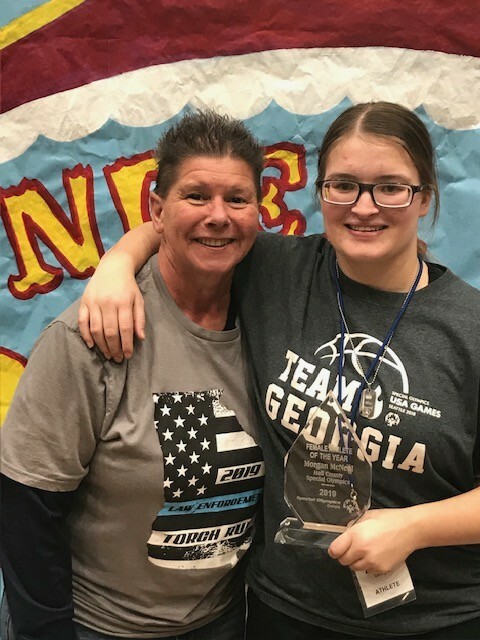 The presentation of this amazing award was only the precursor for one of the best Indoor Winter Games Hall County Special Olympics has ever had. 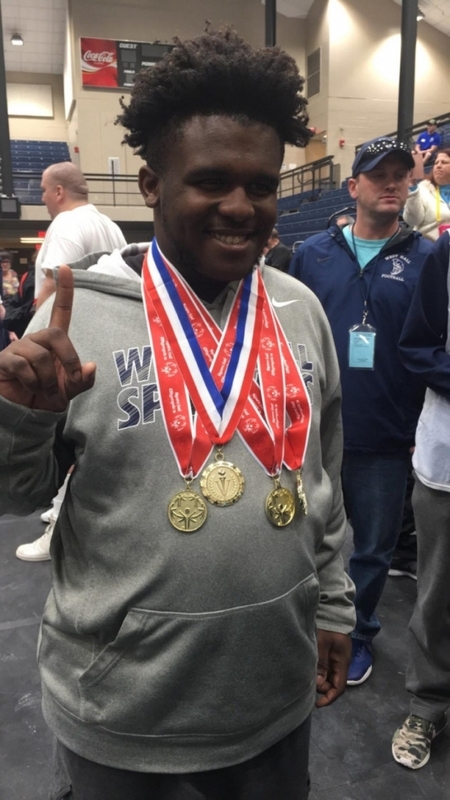 Saturday morning, January 12, the competition started early for Willie Ellison, who reported at 7:00 a.m. for Powerlifting. 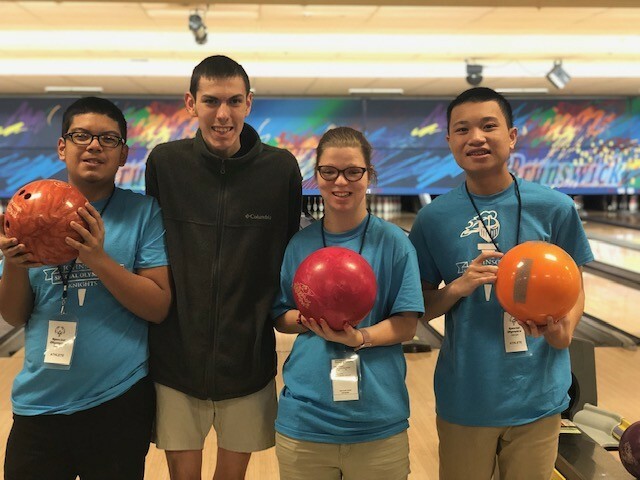 This Southeastern Region Competition, which is held in conjunction with Winter Games, includes athletes from Alabama, Florida, Georgia, North Carolina, South Carolina, and Tennessee. 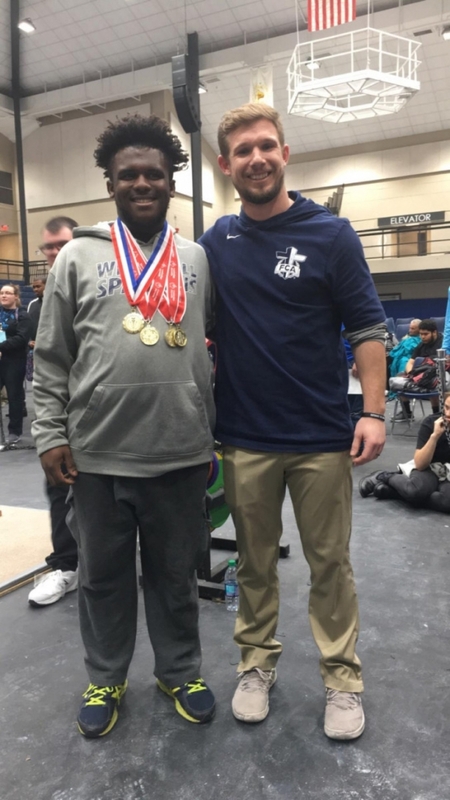 At the conclusion of the 12 hours of competition, Willie Ellison, a senior at West Hall, had won a Gold Medal in Squats, Bench Press and Deadlift. He then added another Gold Medal for Best All-Around, bringing his medal count to 4 Gold. The rest of the delegation was just as impressive. 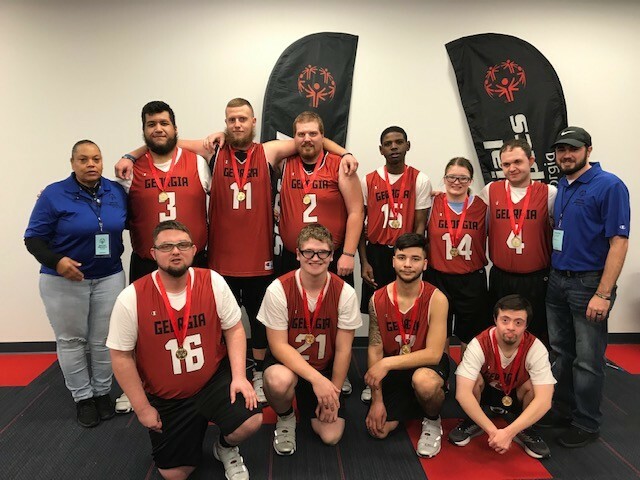 Our National Champion Basketball Team returned to State Competition for the first time since USA Games, and, once again, brought home the Gold Medal. We also had three other basketball teams. 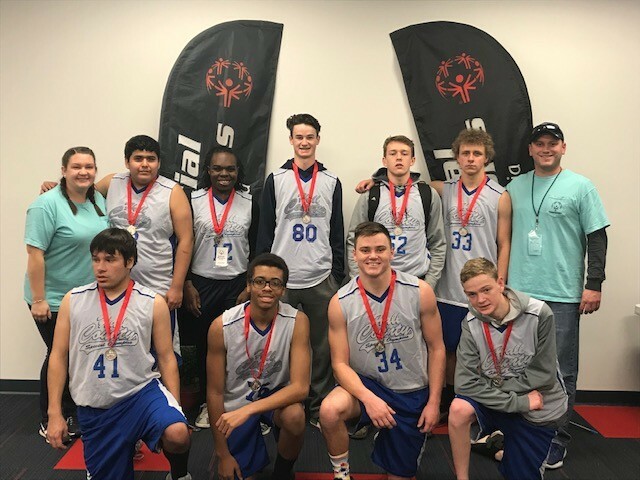 One from West Hall, which played outstanding to capture the Silver Medal in Unified Play. 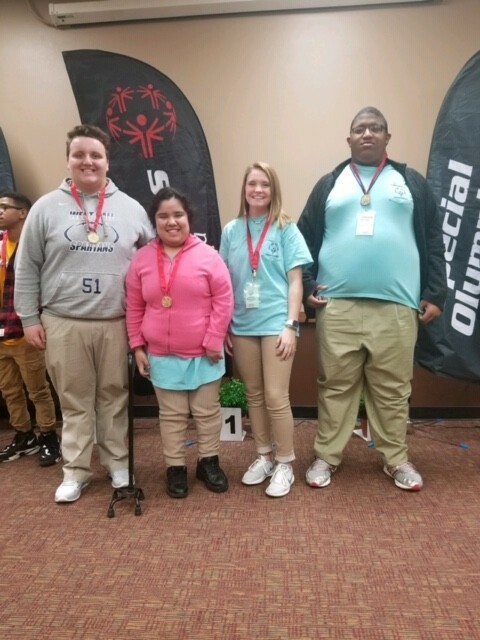 In addition, a multi school team from Johnson, Lanier College Career Academy and North Hall also brought home a Silver medal. North Hall also had a 3 on 3 team that won a Bronze medal. 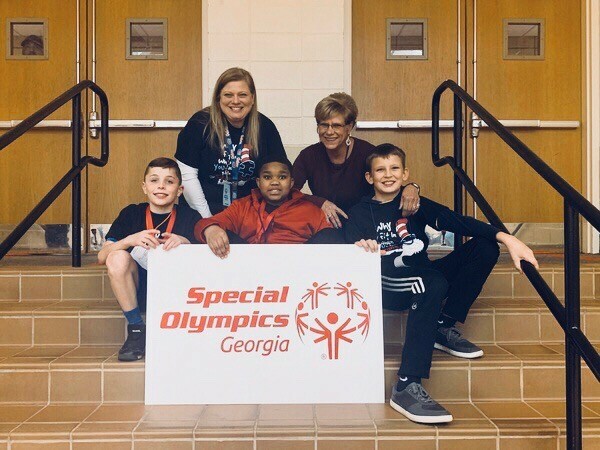 We also had three terrific Spouts Springs Elementary athletes who competed in basketball skills and finished with Silver, Bronze, and 4th place. Finally, our Bowling Teams also posted outstanding performances. 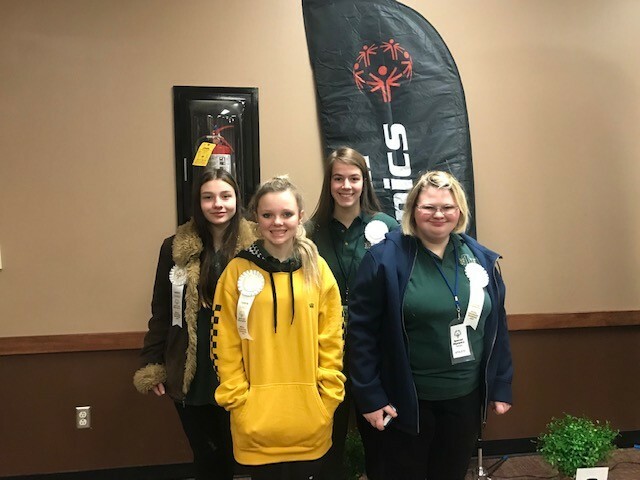 Teams from West Hall and Johnson brought home Gold medals, and teams from LCCA and North Hall won Silver and placed 4th.